How about going back in time and reliving the past? Well, if you always get excited with the talks of history, archaeology and royalty, then you must visit the following popular museums in Karnataka, which house everything related to the past of the state and the country. From sculptures to weapons, jewellery to coins and inscriptions to manuscripts, these museums in Karnataka are home to ancient artefacts that showcase the history and culture of the country's past. Read on to know more about them. Being one of the oldest museums in the country, Government Museum at Bengaluru possesses some of the oldest sculptures, coins and inscriptions, which are definitely no less than gems. Established in 1865 under the guidance of Edward Balfour, it has a wonderful collection of paintings and sculptures from the Hoysala and Gandhara periods and several relics dating back more than 4000 years. Apart from spotting what is inside the building, you can explore the surroundings and architecture of the museum. With circular arches and parapet walls, this elegant and majestic museum is definitely a not-to-miss destination. If you desire to spend some time on the tracks without any train passing over them and gazing at the vintage collection of locomotives, then Railway Museum at Mysuru is your spot. A perfect setting with trains and engines, signals and lights, Railway Museum is extremely popular amongst children as it also offers them a ride on a mini-train which runs inside the compound of this museum. From Austin rail car to a ticket window and 1963 model to royal coaches, this railway museum has everything to offer its tourists. How about taking a ride on a battery train and enjoying the liveliness of its surroundings? One of the most popular museums in India is the Archaeological Museum at Hampi which is home to numerous ancient artefacts, ranging from centuries-old idols to age-old arms and tools. Being settled on the historical space of Hampi, one cannot expect less than wondrous objects on display from this archaeological museum. If you are one amongst those who are always fascinated by antique pieces and architectural wonders, then you must not miss the opportunity to witness the oldest of objects at this Hampi museum. The major things on board which attract every tourist's attention include sati stones, stucco figurines, excavation photographs and several antiquities from the prehistoric era. Built in 1861 and used by the kings of the Wodeyar dynasty, Jaganmohan Palace was converted into an art gallery in the year 1915 and since then, it is home to numerous masterpieces of art in the form of paintings, sculptures and ancient artefacts. From Mughal paintings to paintings of Hindu epics and war weapons to antique pieces, such as coins and brassware, Jaganmohan Art Gallery houses everything that can compel a history lover and explorer to visit this national gallery with an astonishing architectural formation. This beautiful palace is surrounded by a colourful garden and houses an auditorium where cultural programmes and music festivals are organised. It is one of the most visited museums in Karnataka and is located inside the compound of Cubbon Park. Established in 1962, with the theme of electricity, this science museum was inaugurated by Jawaharlal Nehru and was named after Bharat Ratna Sir Visvesvaraya. This exceptional science museum is one of its kind in the country and houses several science experiments and engines. 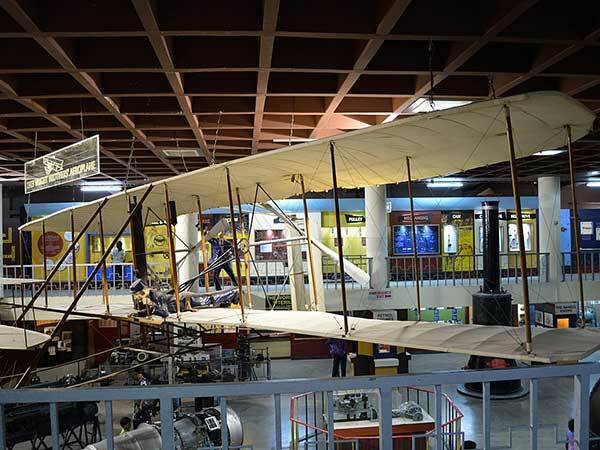 From steam engine to the first-ever aeroplane and replicas of a dam to monumental machines, it hosts everything consequently alluring science lovers and children. How about taking up a project to visit Visvesvaraya Museum?